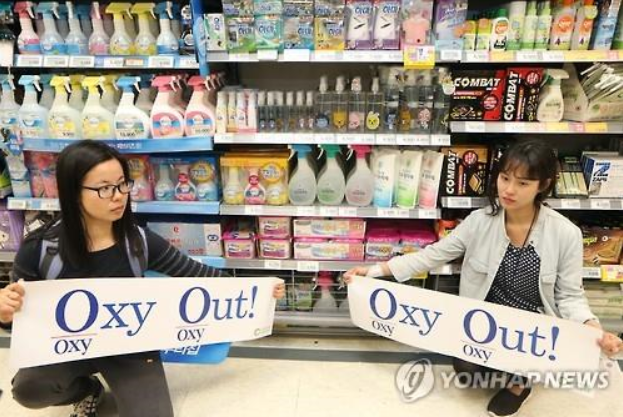 SEOUL, May 5 (Korea Bizwire) – With the recent controversy over humidifier disinfectants, consumers are becoming increasingly mistrustful of household products that include chemicals. As there were no regulations regarding these products for more than 10 years between 2001 and 2011, there is no way of identifying whether toxic substances are present in the various chemical household products currently being sold in the market. According to a recent survey on biocide by the Ministry of Environment, several distribution companies have already experienced a decline in sales of their air fresheners, insecticides, and detergents. E-mart reported on May 4 that sales of air fresheners decreased by 10 percent, sales of insecticides decreased by 13 percent, air fresheners by 13 percent, deodorant by 13 percent, and dehumidifiers by 46 percent. Lotte Mart also experienced a drastic decline in sales of deodorants, air fresheners, and humidifiers by 15 percent, 16.8 percent, and 4.6 percent respectively between April 18 and May 3. Auction, an online shopping mall, reported that sales of deodorants declined by 28 percent, air fresheners by 5 percent, and detergents by 13 percent over the last week. Households with children have displayed particularly high sensitivity to this issue as parents are choosing alternatives to chemical household products, using all-natural detergents instead of chemical detergents and purchasing gauze towels instead of wet wipes. “After the humidifier disinfectant controversy, I am reluctant to use even detergents for cleaning the bathroom,” said Jae Geum Park (age 57), a homemaker in Seoul. “I no longer trust any household products after the humidifier disinfectant controversy. I have to use a humidifier because of my child’s asthma, but I use baking soda when cleaning, not disinfectants,” said Min Ju Kim (age 32), a mother of a one-year old child. Reflecting this consumer mentality, several online shopping malls have been selling natural detergent sets such as ‘Baking Soda, Citric Acid, and Hypercapnic Soda”, and others. These products are known as 100 percent natural detergents that can take the place of existing detergents and deodorants when properly used. Household product manufacturers initially claimed that their products pose no danger to safety, but they are becoming more concerned about how the current consumer mentality against household products will influence sales. “We are making efforts to comply with the government’s safety regulations by excluding toxic ingredients as much as possible when we manufacture our household products,” said an official from Aekyung Corporation. 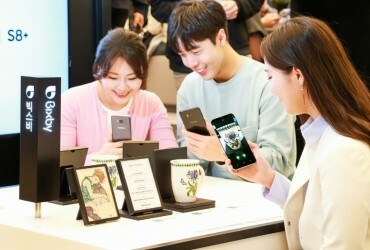 “As domestic consumers’ sensitivity to household products continues to increase, we will be closely attentive to how sales trend develop from now on,” he added.